Several biologic processes affect the supporting peri-implant tissue leading to implant failure and complications, mainly referred to inflammation that is still poorly investigated in the peri-implant soft tissues. 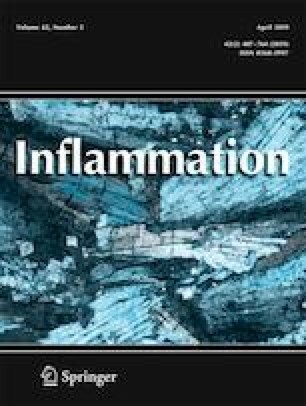 Our aim was to investigate in peri-implant healthy mucosa, peri-implant mucositis, and peri-implantitis the expression of some angiogenesis markers highly associated with inflammation, and evaluate its relationships with age, smoking, peri-implant pocket depth (PPD), and body max index (BMI). Moreover, we wanted to study the impact of these clinical parameters in the disease pathogenesis. Forty-eight total patients were recruited. Sixteen had at least one successfully osteointegrated dental implant (group A) and 32 had at least one osseointegrated implant in need of a peri-implant treatment for inflammatory/infectiveous reasons: precisely 16 for mucositis (group B) and 16 for peri-implantitis (group C). VEGF, CD34, and CD44 immunohistochemical expression was evaluated in the interproximal biopsies of marginal peri-implant tissue and correlated with the clinical parameters. A significant difference between groups in mean PPD was found, while the distribution by age, gender, smoking, and BMI resulted similar. Group C had significantly higher levels of VEGF, CD34, and CD44 expression compared to the other groups. VEGF, CD34, CD44, and peri-implant pocket depth were all positively correlated. Our study revealed that peri-implantitis is a condition characterized by unique and distinctive features. Our results supported that PPD has a great impact on the peri-implantitis and it is closely related to the inflammation marker expression. The identification of specific biomarkers might help in choosing distinct treatment approaches for target individuals. The authors would like to thank Dr. Liana Spazzafumo, Center of Clinical Pathology and Innovative Therapy, Italian National Research Center on Aging, INRCA-IRCCS, Ancona, Italy, for her technical support for the statistical analysis. No external funding, apart from the support of the Polytechnic University of Marche, was available for this study. All procedure performed in studies involving human participants were in accordance with the ethical standards of the Institutional Research Committee and of Helsinki Declaration of 1975, as revised in 2000, as well as its later amendments or comparable ethical standards.